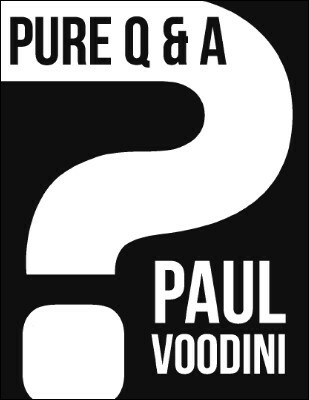 Pure Q&A is a 44 page PDF outlining a full 2 hour Q&A show ideal for stage or parlour! Imagine a Q&A show that involves NO sleights, NO gaffs, and NO gimmicks! A Q&A show that will be perceived by your audience as the ‘real thing’ as opposed to a magic trick! This is Pure Q&A! Questions are answered, futures divined, and the audience enthralled! Pure Q&A uses NO billet switches, NO impression devices, NO electronics, and NO pre-show! Pure Q&A gives you a full show on a platter, to use ‘as is’ or to customize to suit your own performance persona. This is a manuscript that has been born from true life performance – all ideas are lifted from Paul’s stage and parlor show. Pure Q&A is real world mentalism at its very best! Includes introductions by Luke Jermay and Neal Scryer!